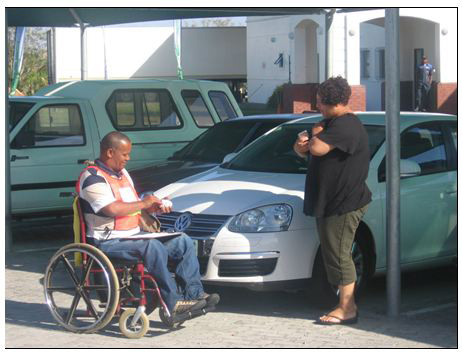 Western Cape Association for Persons with Disabilities has a proud 75 year history of assisting persons with disabilities to reach their maximum level of independence and integration into the community. 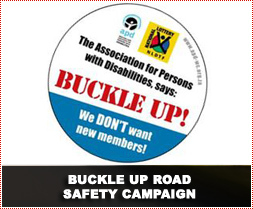 Why the Buckle Up Road Safety Campaign? Spinal cord injury is one of the more devastating types of serious personal injury. A part of the vertebrate nervous system, the spinal cord is responsible for regulating the body's flow of nerve activity below the head. A spinal cord injury is capable of shutting down this nerve flow, leaving those with a spinal cord injury physically impaired. A spinal cord injury affects much more than the mobility of the person; in physical terms, the person’s bowel, bladder, sexual and respiratory functions are impaired. In social terms, people battle to gain access to education and training, employment, and finance, and very often become dependent on their families for financial support. The lack of accessibility of public transport and public buildings often means that quadriplegics and paraplegics become socially isolated. It is known that the majority of spinal cord injuries in South Africa (and globally) result from motor vehicle accidents. 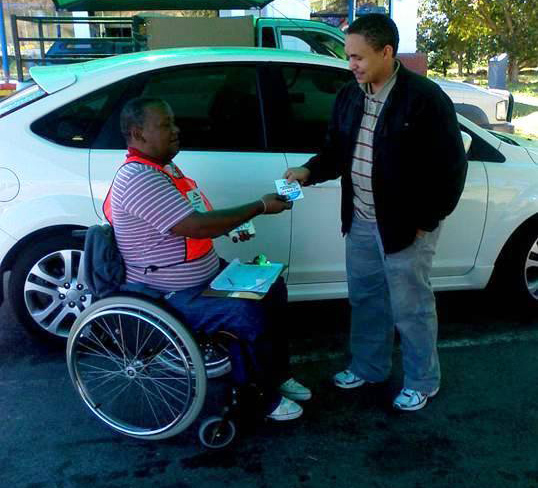 More than 250 people sustain a spinal cord injury through road accidents per annum in South Africa, many due to not wearing their seatbelts. What is the Buckle Up Road Safety Campaign? During the busiest road use times i.e. Christmas, Easter and June/July holidays - APD clients are deployed at petrol stations on 5 major holiday routes in the Western Cape. Our clients talk to motorists about the importance of wearing seat belts and request motorists to sign a pledge to “Buckle-Up” for road safety. In return the motorist receives a BUCKLE UP license disk sticker. This dynamic project employs approximately 35 people, 60% of whom have disabilities, on each day of the 8-day campaign, not only allowing each person to give back to their community, but affording them a small income in doing so. 50 million people are injured, many disabled as a result. One of the ways in which our campaign could be monitored is by the number of pledges received at our various contact points. During the history of this campaign, we have seen a marked improvement in driver sensitivity pertaining to road safety. In 2009, 1 128 drivers signed our Pledge but just two years later in 2011, 3 929 drivers signed up – an increase of 62%. This indicates a willingness, on the part of the driver, to become involved and to take the necessary action to prevent serious bodily harm to either himself or his passengers. The Road Traffic Management Corporation released the death toll figures for the Easter 2011 period as obtained from the South African Police Services (SAPS), which stood at 203 fatal crashes. The Western Cape ranked lowest of the Provinces at 7 deaths – a substantial decrease from 2010’s over 200 deaths! While this is not solely due to our own efforts, we would like to think that this Campaign has helped somewhat to curtail the incidence of death and disability in this province. How safe is your child during Child Protection Week?